This weekend, when I was talking to my wife about the fact that some of the longest books I’ll be reading over the next year will be fairly easy to finish in a week given the pace I have been setting in these first four weeks, but that the same audiobook might make it easier for me, she made a terrible suggestion. If you’re feeling absolute shock and horror, you know how offensive this suggestion was to me. We all know it’s only the power of the die that’s holding this blog together. I know it’s why you continue to read this blog. The die has a mystical power over us all. But I think we all already understand the significance of the many-sided die and its role in the Hugo Endurance Project. If there were a sacred symbol of worship for the HEP it would be the many sided die. If the many sided die were a gigantic structure, it would be the location of our Hajj. Furthermore, I did allow the die to take such a prominent role in determining the fate of this project and blog in order to make things easier on myself. I did it because it’s the right damn thing to do. 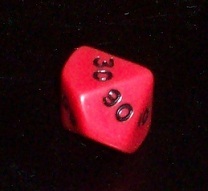 Aside from the inherent danger of tempting fate-as dictated by the many-sided die, honest lasts longest. LOL! I think this was less a solution and more a suggestion to abandon my plans, lie to the blog and disrespect the power of the die.